Night and Rei: I'm drilling holes into your skull!! 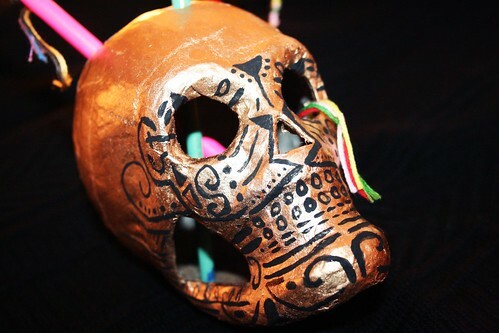 I purchased a paper mache skull at Michael's and spray painted it gold. 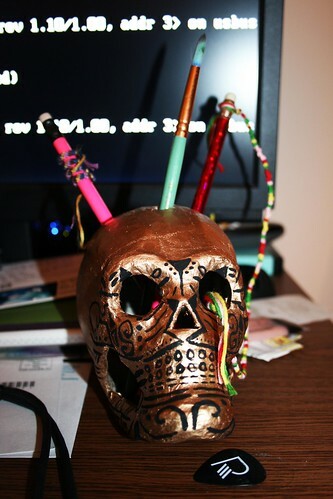 Some black paint and three holes in top complete my Dia de los Muertos inspired pen/pencil/paintbrush holder.